Are the mp3 files available here correct? 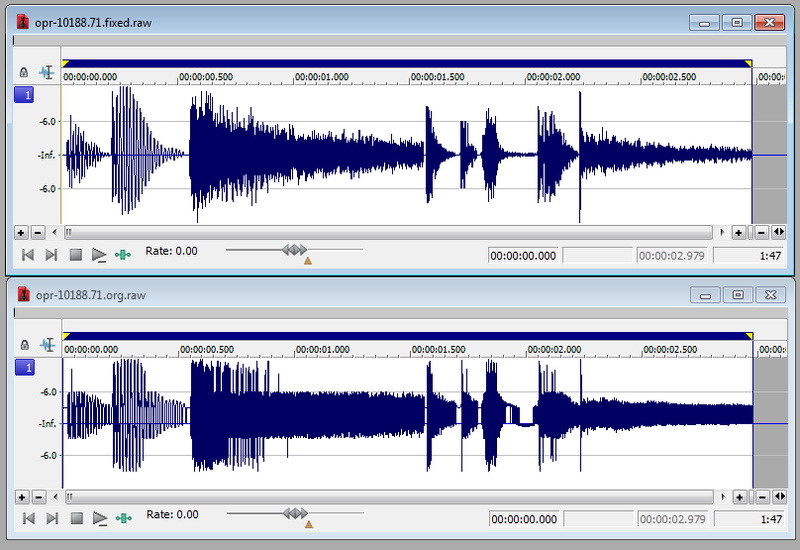 Looking at them in Audacity they look pretty much the same, with just a time offset. Yes they're correct. 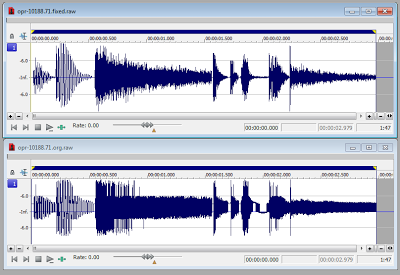 You're not going to visually see a big difference in the waveform on the final track as there's a load of other instruments around the percussion. If you listen on a good pair of headphones or studio monitors, you'll hear the woodblock clicks are more defined and the cymbal crash less distorted. Patch the original rom using the Enhanced Edition pack and then compare the files for yourself. I can hear the difference easily. Snacking that this went largely unnoticed for 20 years. I suspect it's because the original cabinets didn't have the best sound quality to begin with. The problem is more noticeable (as Hiro found) when listening to the tracks back in a better environment. Actually, the original cabinets had an audio setup that was considerably better than average for the time. This is just a personal opinion, but I think the era in which OutRun was released may have played something of a serendipitous role - bear with me. The iconic "80s" drum sound was in fact due to either the SSL talkback channel, or a heavily-compressed and gated effect chain. Classic examples include "In The Air Tonight" by Phil Collins, "Every Breath You Take" by The Police, and "Higher Love" by Steve Winwood. However, the sound itself was copied by countless artists and producers. The effect itself amounted to squeezing the sound to the extent that it would cut straight through the mix and then use the gate to quickly cut to silence. It just so happens that the "corruption" described here more-or-less mimics this effect perfectly, and so to the audience of the time it would not have sounded strange. PS. In fact my original Amiga MOD/XM versions of the tunes all featured drum samples that had said effect applied. I'm currently re-working these by sampling the OPM softsynth (with a MAME dump of the original sounds) for a more accurate conversion. 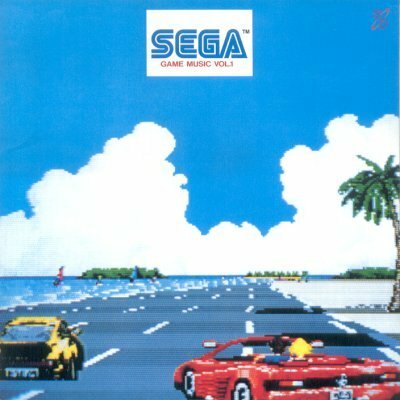 Would it be a big effort to create an editor for songs in Outrun? If we can convert the song format in the roms back and forth to midi and extract the samples used, any sequencer would pass. @Unknown: Yes it would be a decent effort, but it's on my todo list for the future. It can be picked up for around $20-30. 3DS version is patched from original master disk. So, you can get original PCM data from 3DS version.